Can you tell me about an incident of a kind act done by a complete stranger? marked “NO ADMITTANCE.” When the house lights dimmed and the concert was about to begin, the mother returned to her seat and discovered that the child was missing. Thanks for sharing this impressive story. I loved it. Thanks for sharing Diane. I love this story…. I’ve heard that story before, and I love it every time I hear it! I shall never forget the kind gentleman who gave me £20 on a plane after I told him about my financial struggles as a student in London when I was 19. We got off the plane and I never saw him again, but the memory remains. I currently follow you via email, but really want to follow your blog via RSS feed through Google. I don’t see that option. Am I missing something? Such a sweet story. 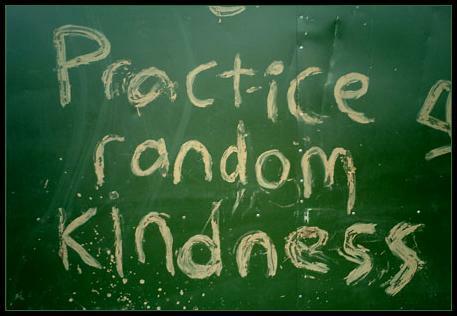 It is interesting how small acts of kindness can change a life for the better.